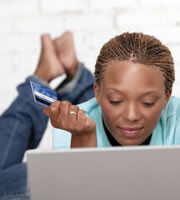 Credit Card Rates: Is a Rate Increase on the Horizon? Credit card stability: A calm before the storm? The U.S. bank prime rate remained unchanged in the first half of August, at 3.25 percent. In a departure from recent form, credit card rates were little changed in the most recent survey, with consumer non-rewards cards being the only category to change. By way of contrast, in the previous survey all categories except business non-rewards cards had changed from their prior levels. Oil prices are creeping back up. The cost of a barrel of oil declined in May and June, with prices dipping below $80 a barrel. Since then, though, oil prices have been on the rise, and are now over $90 a barrel. Oil prices are an especially important component of inflation, because not only do they represent a significant part of household budgets in their own right, but since energy costs also impact the manufacture and transportation of many other things, rising oil prices tend to spill over into other costs. If inflation starts to rise, it is likely that interest rates will rise with it, as credit card companies and other lenders seek to protect their profit margins. The drought is another inflationary influence. A sustained, widespread drought has prompted dire forecasts about the condition of crops from U.S. farms, especially corn. A weak crop can lead to higher food prices, and for the reasons discussed above, higher prices often lead to higher interest rates. Controversy over swipe fees. Swipe fees are what credit card companies charge to retailers in exchange for processing payments made by credit cards in their stores. Recent court and legislative scrutiny is putting pressure on credit card companies to charge less. If credit card companies are forced to earn less from swipe fees, they will be inclined to make up for it in other ways, such as by charging higher interest rates. If any or all of these factors start to affect interest rates, consumers will want to be especially vigilant about monitoring their credit card rates, and shopping for the most competitive rates. Consumer non-rewards credit card rates rose to an average of 15.15 percent, an increase of eight basis points in the last two weeks. The average rate for consumer rewards credit cards was unchanged. As a result of the rise in non-rewards rates, the spread between average rates for rewards and non-rewards cards shrunk to 2.49 percent. This spread has been declining steadily, and has fallen by nearly half of one percent so far this year. The average rate for student credit cards was unchanged, at 17.27 percent. This lack of movement comes as something of a relief for customers of these cards, as student credit card rates had risen in each of the last three surveys before this one. Average rates for both business rewards and non-rewards credit cards were unchanged in this survey. Business non-rewards credit cards have been particularly stable, with no change since late last year. The difference in rates for customers with top credit ratings and those with average credit rose slightly, to 3.83 percent. This represents the additional price people pay for having less-than-perfect credit. 0 Responses to "Credit card stability: A calm before the storm?"